TOA University is a division of Todd Olivas & Associates, a legal services agency matching freelance court reporters, interpreters, videographers with the legal industry since 2003. 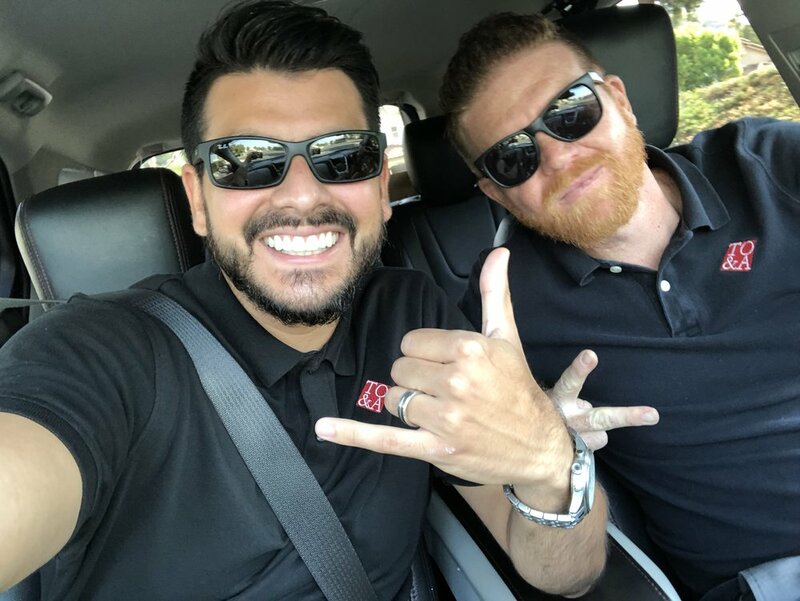 When Todd decided it was to grow and expand he hired the first member of the Todd Olivas & Associates marketing team, John Paul, who has been working at TO&A since 2011. The father of two beautiful girls he has almost 20 years of experience in the industry. After a little over a year of marketing success Todd decided to bring Rick aboard. Like his brother, Rick also has over18 years of experience in the industry and recently welcomed the addition of his third child with wife Laura. Todd asked Rick and John, "Do you guys have another brother?" They replied, "No, but we have a cousin!" Shortly after that in early 2015 Todd brought Jonathan on board. He has over 10 years of experience in relationship management in the finance and banking industry.